Cherry blossoms are with us for but a moment. The music of the flute is here then nowhere. Lasting beauty is fleeting. Thank God for memory where beauty touched with sadness lasts. And so autumn: melancholy beauty, a fall fling, wine festivals and beach towns reacquiring their quiet. 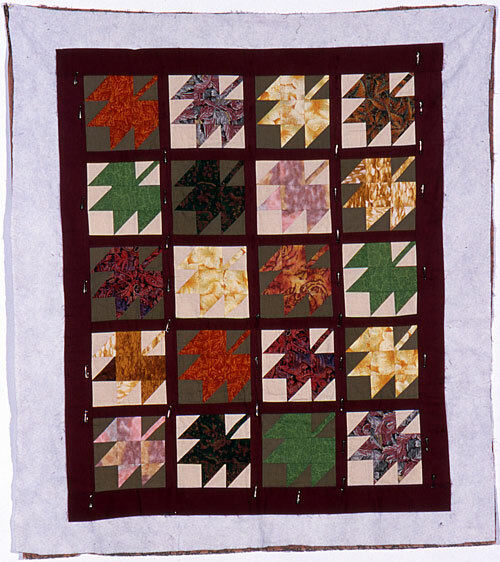 Every late September an urge comes on me to visit Amish country to see leaves in glory and quilts in stylized simplicity. 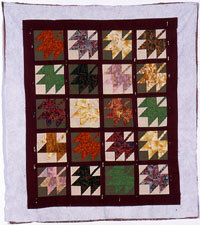 Each October I need to quilt autumn, to quilt Mother Nature’s last hurrah. The juice and wonder of it all: autumn leaves.